The black and white trend is still going strong and the “rule” no white after labor day has completely gone out of the window for many celebs and fashionistas. 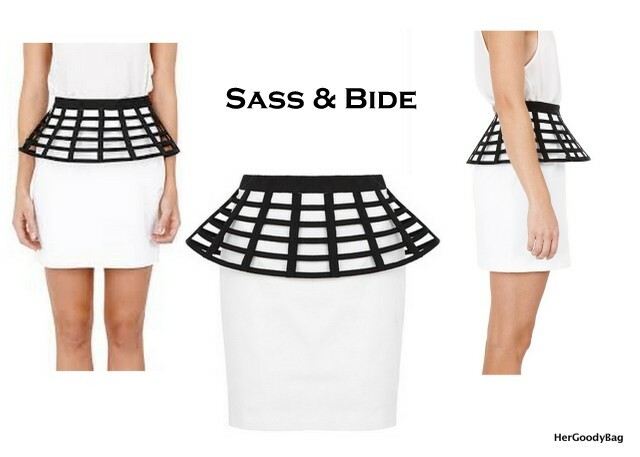 Sass & Bide “Much Adored” Peplum skirt does just that, break all of the rules. 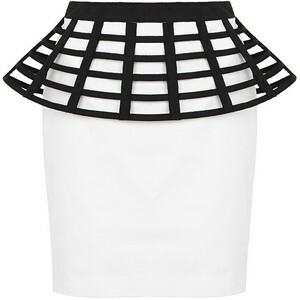 Retailing at $390, this skirt is described as a fitted mini skirt with bell shaped petersham lattice cage that created a 3d dimensions. So rock it or drop it? Most of the time I try to prepare my outfits for work on Sunday. Every Sunday after church I stand in front of my closet thinking…hmmm what am I going to wear this week? Well I manage to put together 4 looks for Monday-Thursday. Since Fridays are casual I throw on a pair of jeans and top and call it a day. So I usually start with the outfit basics like a dress, pants, top or whatever. I never think about my accessories. I never thought about UBD (understanding by design-backwards design) for clothing. If anything I would start with the shoes that I would want to wear, but never the accessories. So ladies (and gents) for that unexpected look start styling from the littlest detail. Here is an ensemble that I built using this tip. I started with the layered necklace and went from there.